Guerlain Deserts d'Orient - Rose Nacree du Desert, 2.5 oz. 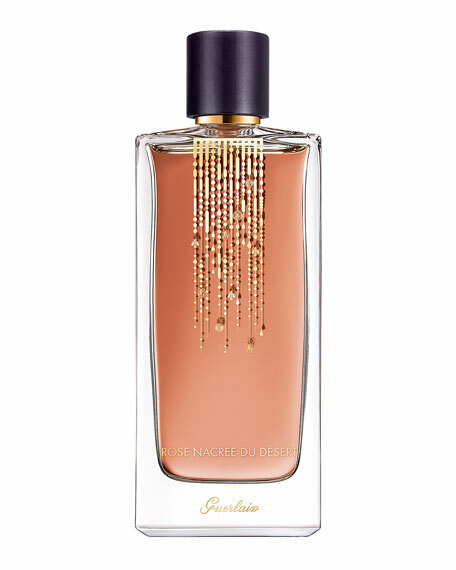 Rose Nacrée du Désert belongs to Guerlain's Exclusive Collections, a range of fragrances for aficionados of rare scents, those who appreciate noble raw materials and refinement down to the last detail. 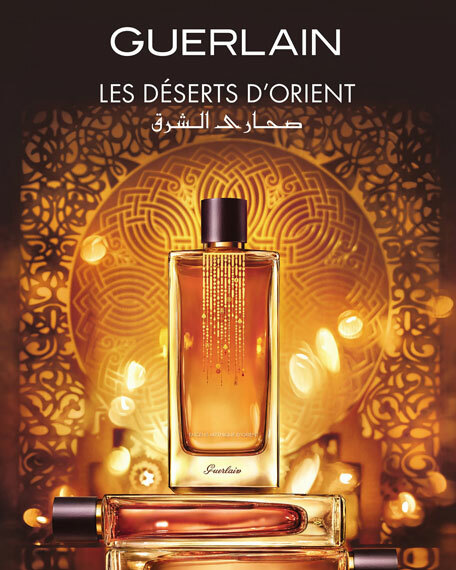 The Déserts d'Orient fragrances are housed in simple, streamlined bottles gorgeously illuminated by a shower of gold, like a symbol of riches: a sign of belonging to a world in which this precious material has always been given pride of place. The bottle nests in an amethyst "leather feel" case (that can be turned into a jewellery box as you wish). Les Déserts d'Orient. 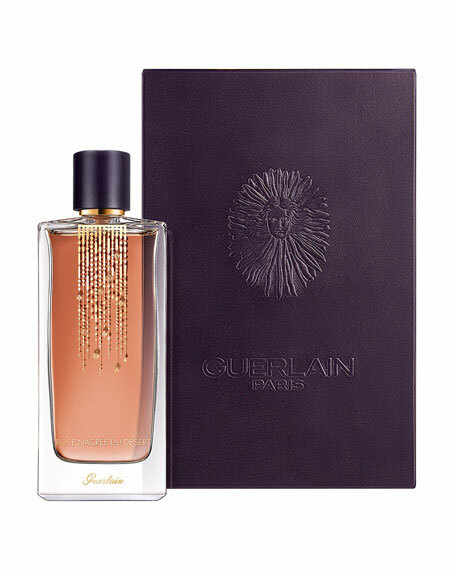 At the heart of this sensual desert landscape hides water that dreams of goldlike a smoldering essence by Guerlain. Woody Floral. Rare, reassuring, rich. For in-store inquiries, use sku #2414290.